I could write a lot about bagels. I could tell you about how my dad once made them and found the process too much of an effort for something you can pick up around the corner. I could tell you about how much I hate Thomas bagels after being raised in New Jersey since age 10 and then going to school in the rural South where that’s all I could get in the dining hall. I could tell you that because of the fact that I live in NYC, it kind of makes me a bagel snob to the rest of the country. 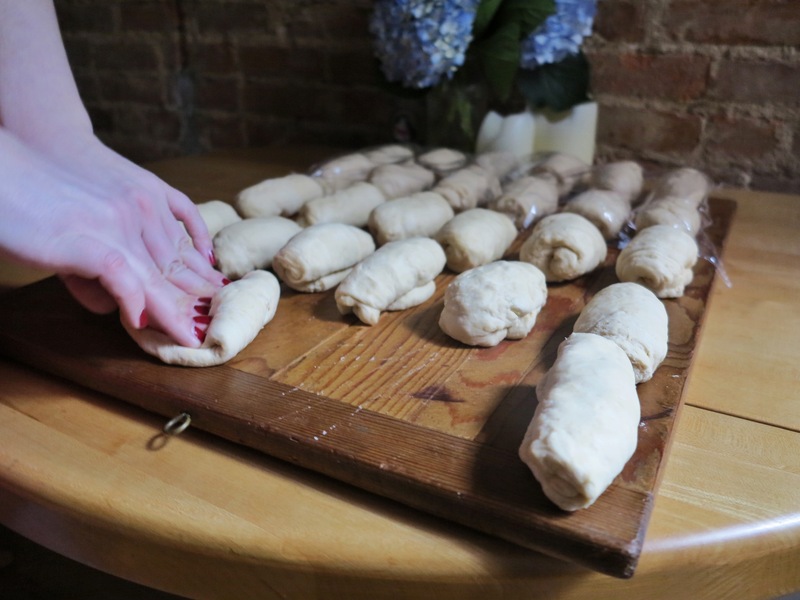 I could tell you what a great party trick it is to make bagels because, really, they’re surprisingly easy. 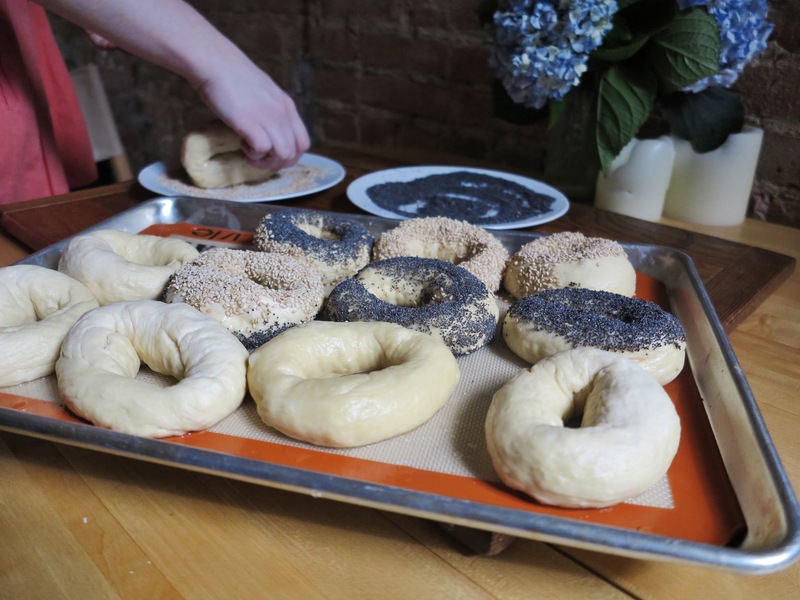 I could even tell you all about the class I took at The International Culinary Center called, “New York Favorites: Bagels, Bialys, & Pretzels.” But I won’t. Because I just did. 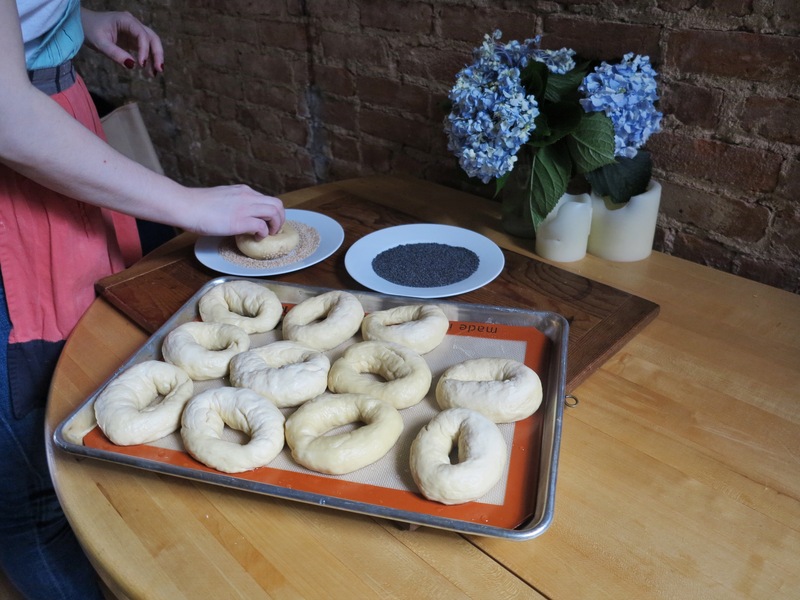 Instead, let me take you through the bagel-making process and the many photos that accompany it. 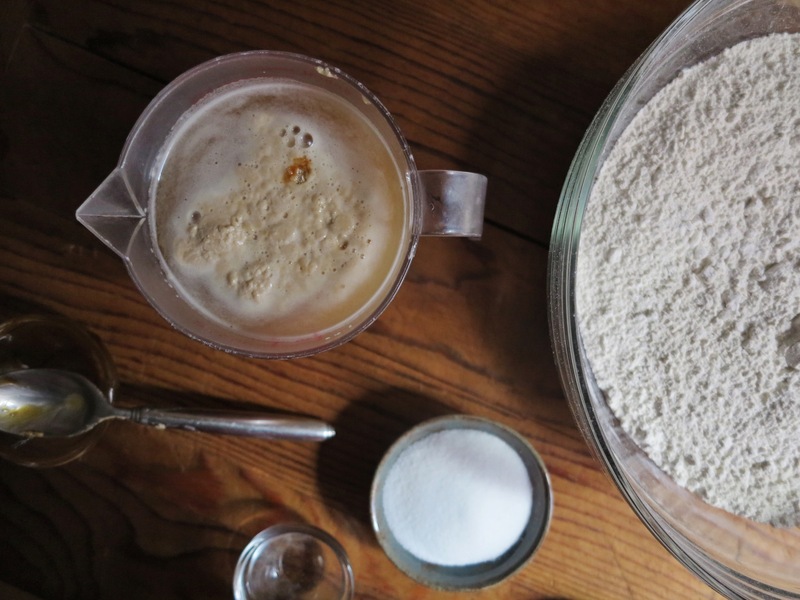 flour, yeast, salt, sugar, barley, water. 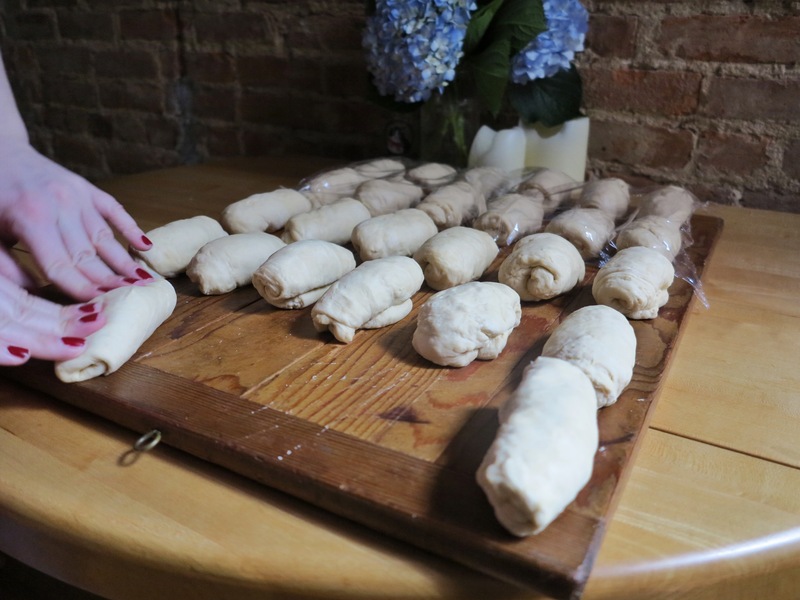 The ingredients, like a lot of breads, are very simple. The most foreign sounding ingredient should be the malt. In class we used powdery malt, but the only thing I could find at the store was barley malt syrup, and it works just fine. Instead of throwing it all together and mixing, like we did in class, I added the malt to the lukewarm water and then added the yeast to “prove” it (basically, dissolving active dry yeast in water to make sure it is indeed still active) before mixing it all together. 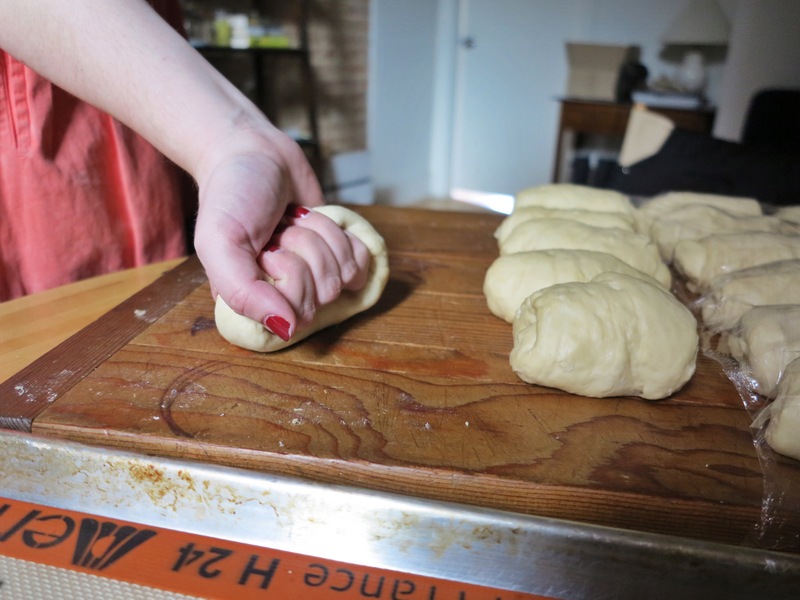 All it takes then is a stand mixer to knead everything until it forms a dry and shaggy dough. left: double batch. right: single batch. Next up is portioning. Don’t be fooled. 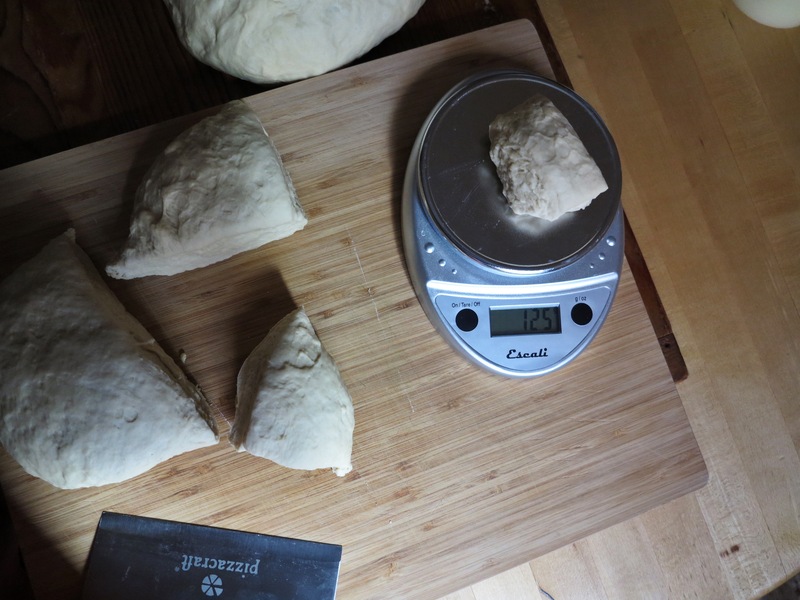 Most of these dough pieces needed to be altered several times before they reached the appropriate 125 grams. you add a little, you take a little away, you finally get it right. ^^This^^ isn’t a bagel. 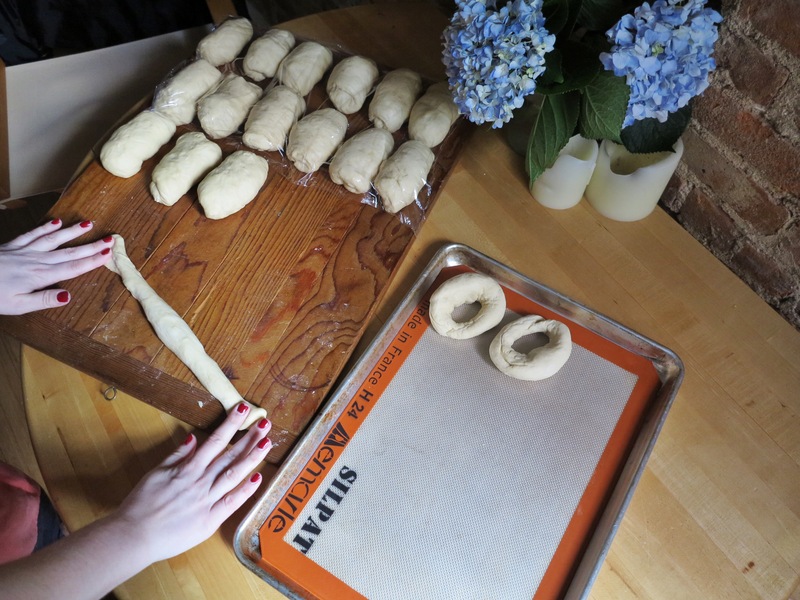 The fun of making bagels is the shaping, which happens in two parts. Part one: a log. Part two: a bagel. Then, you take a fifteen minute break because you’ve earned it. 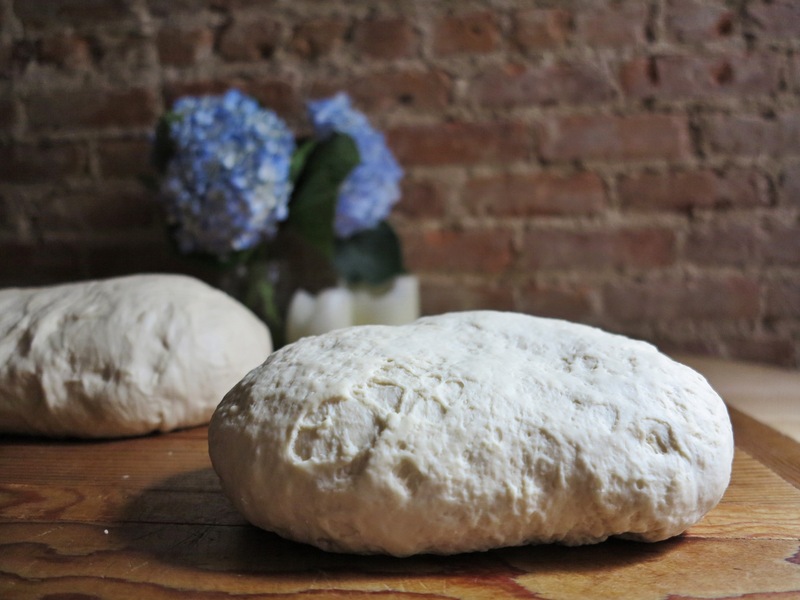 Also, the dough needs to rest (in other words, it needs time for the gluten to relax so that you can shape it without the dough springing back – it needs to time to become pliable). After that, it’s time for more shaping! oh geez, excuse the chipped nail. i’m an animal. They won’t always be the smoothest, but hey – do what you can. 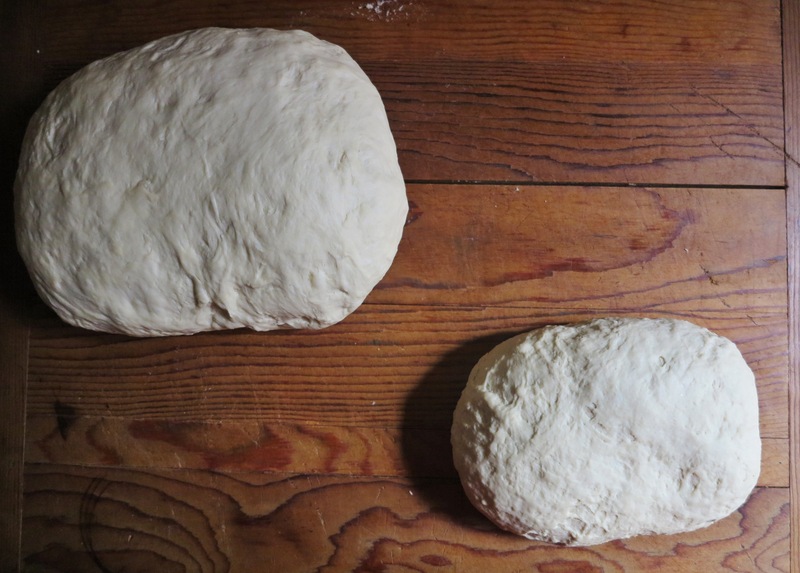 The dough is shaped twice, and so it rests twice. While dough rested in class, I took some photos. 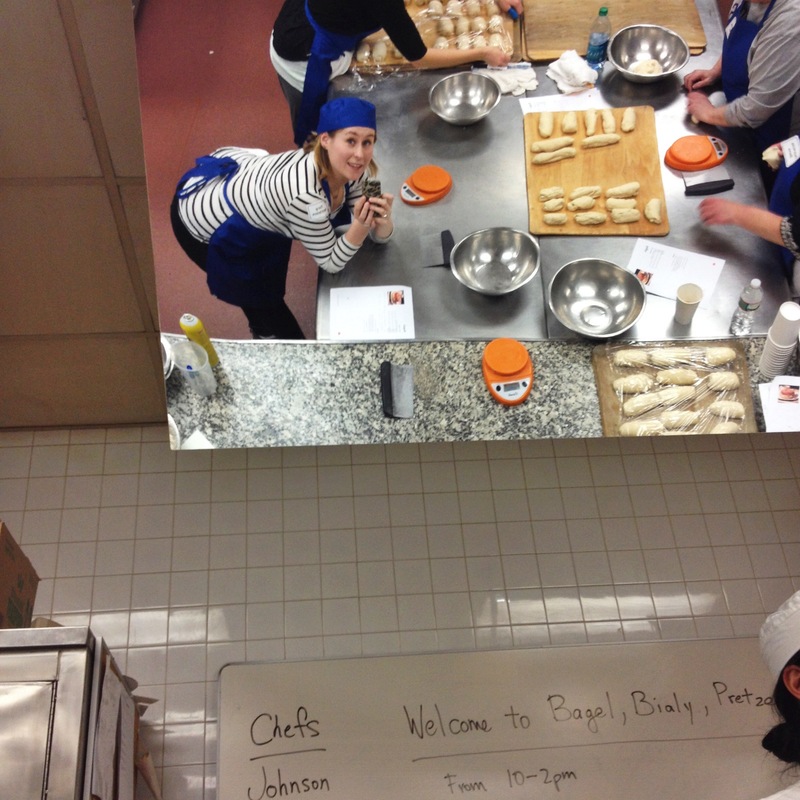 And, since I took the class solo, I had to somehow get a shot of myself in my finest baking garb. That’s why they have the tilted mirrors over the instructor’s table, ya know. It’s not so that the whole class can see demonstrations. Ok, time to get back to work. 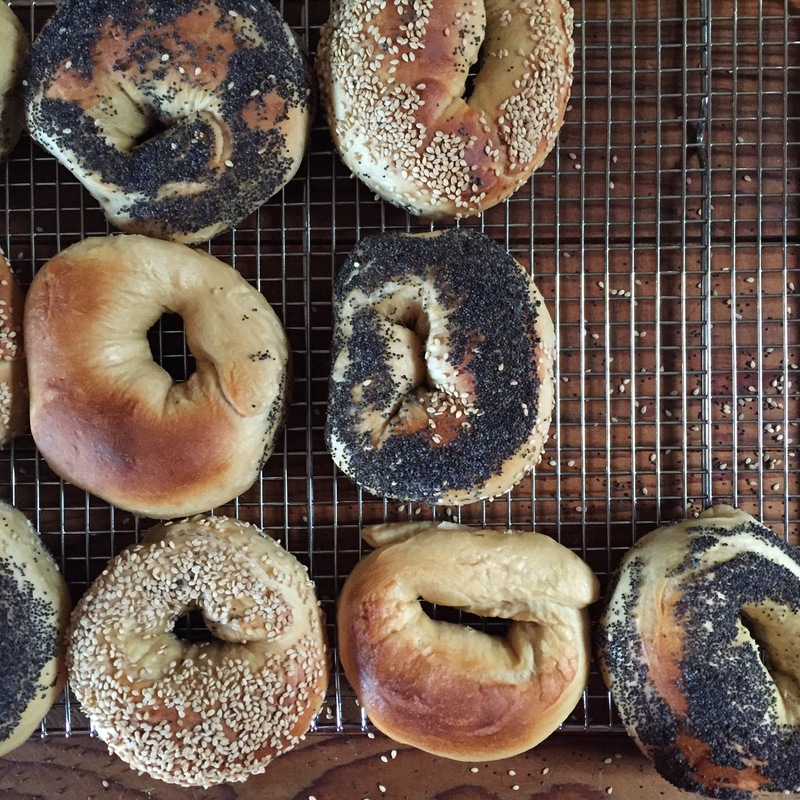 What really makes a bagel a bagel, is boiling it before baking it. Boiling the bagel gives it that classic bagel crust. It cooks the outside slightly, already starting a crust before you put it in the oven. 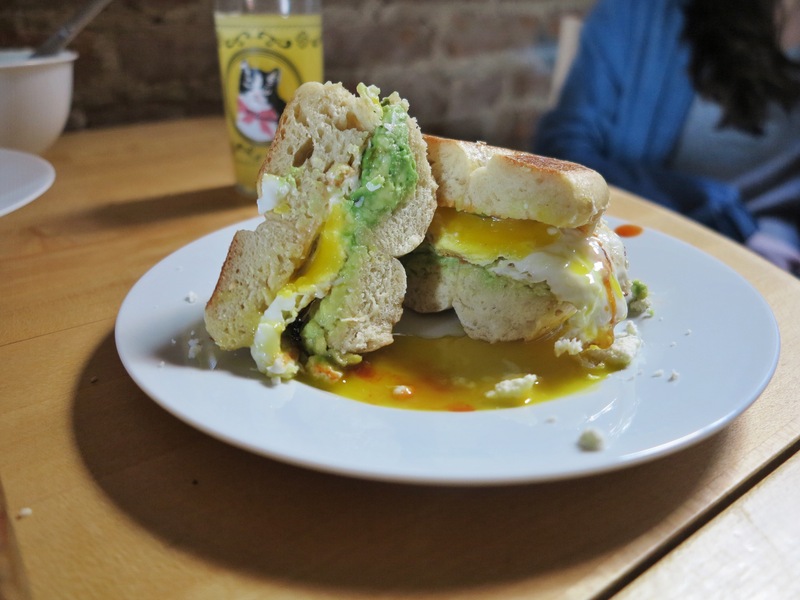 That very crust forms a barrier and that’s what allows the inside of a bagel remain soft, dense, and chewy. And all it takes is about 10 seconds in boiling water! Bagels are magic. Plain bagels are good. Sometimes, depending on your filling or mood, they can even be preferable. But poppy seeds and sesame seeds are great. 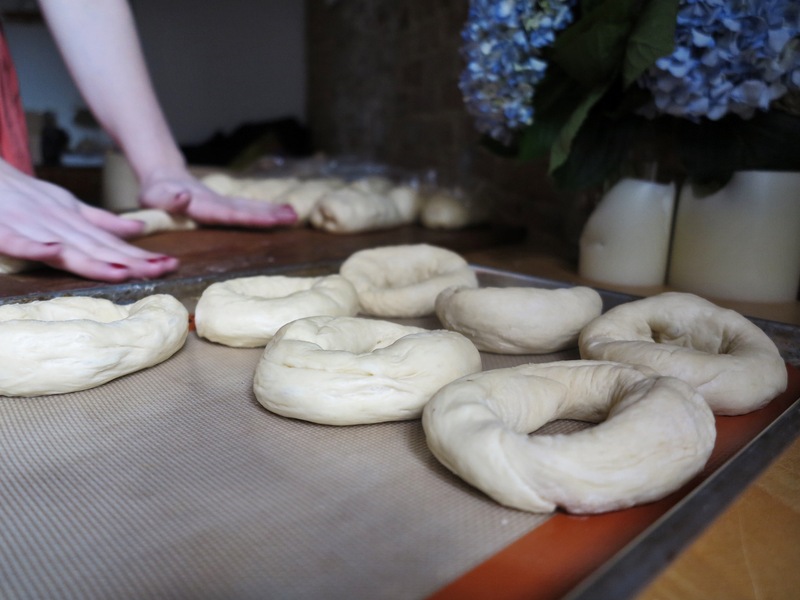 Any topping you want to add can be added after boiling and they stick on the gel-like texture of the boiled bagel perfectly. It’s time to bake those bad boys! Pop ’em in the oven and patiently wait for a baking sheet full of delicious, golden orbs of carbs to come out. 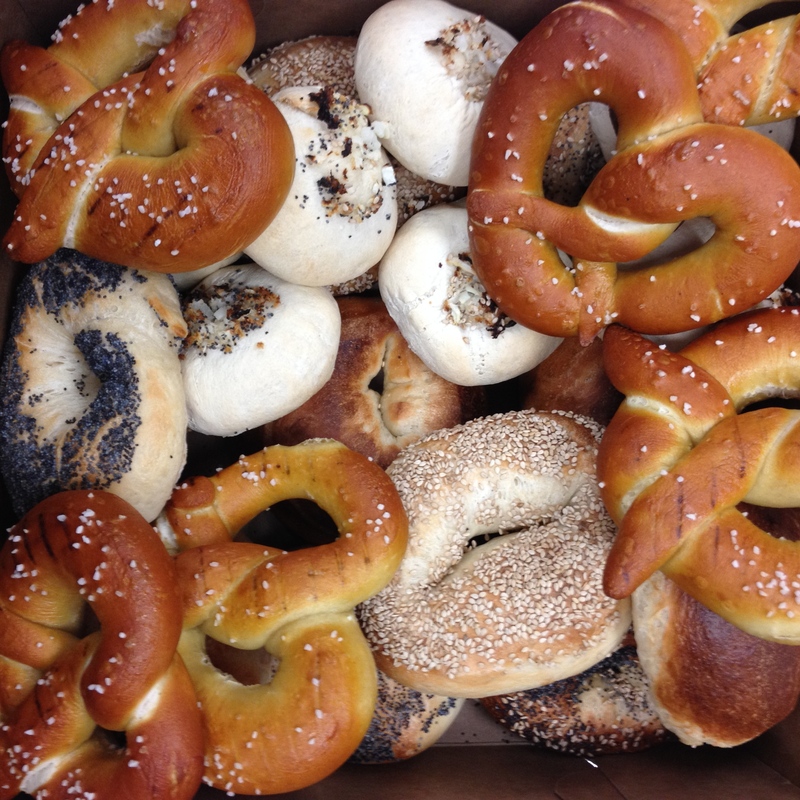 top row (from left to right): shaped bagels, shaped pretzels, more shaped bagels. 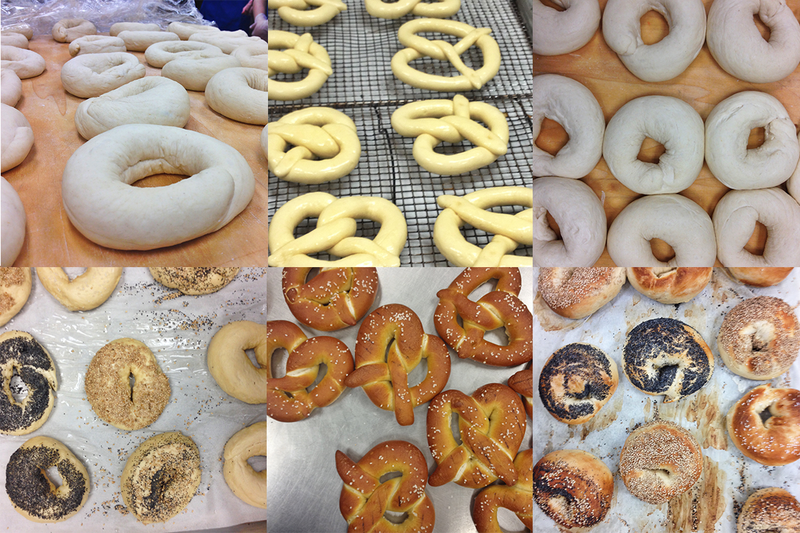 bottom row (from left to right): topped bagels, finished pretzels, finished bagels. 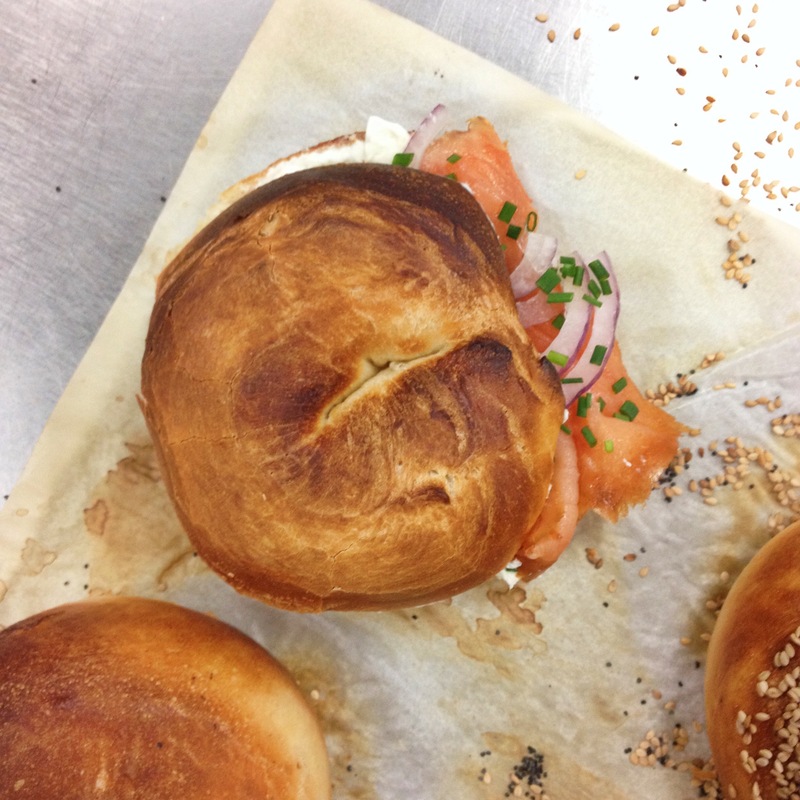 a bagel from class – accompanied by super new york fillings of lox, red onion, cream cheese (or schmear), and chives. Get those bagels out of the oven and get them cooling on a rack. 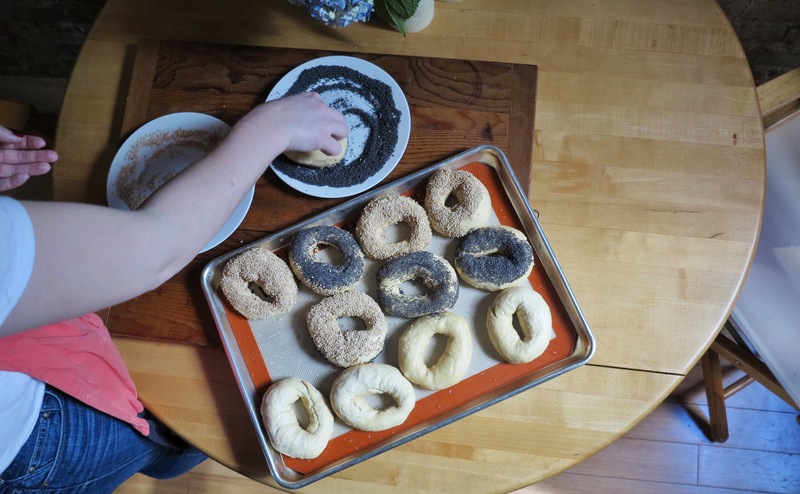 As soon as they are cool enough to touch, you cut one of those homemade bagels open, throw some schmear on there and get into it. A bagel fresh outta the oven is heaven. Heck, have two. this is a shot every food blogger must have, right? a runny egg being its runny old self? ps. oops i put it together upside down i was so EXCITED. That was fun, wasn’t it? For this particular photo shoot, I actually made a triple batch of bagels so I could have a solid amount to bring into the office. If you want to do the same thing, I highly encourage you to make sure there’s not already going to be a bagel breakfast ordered for the whole office to welcome a new executive. 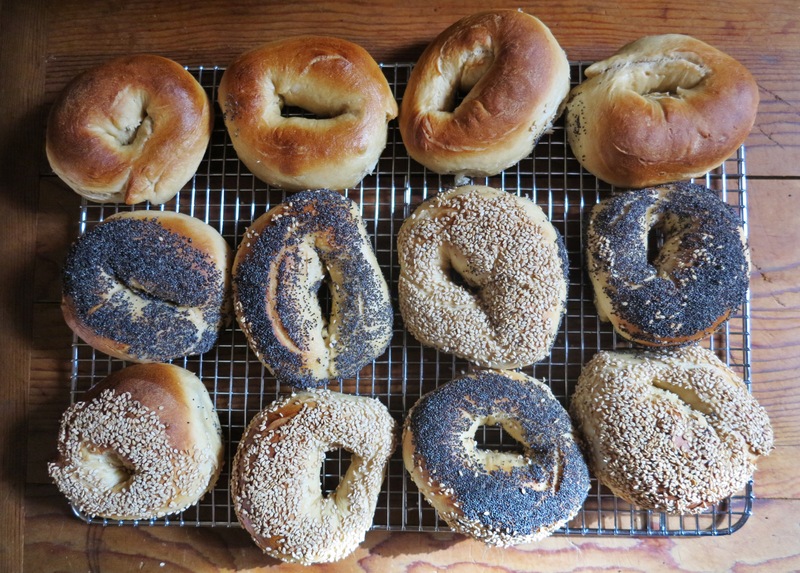 Because then you will have made thirty-six bagels only to have to freeze about twenty of them. I mean, just a thought. 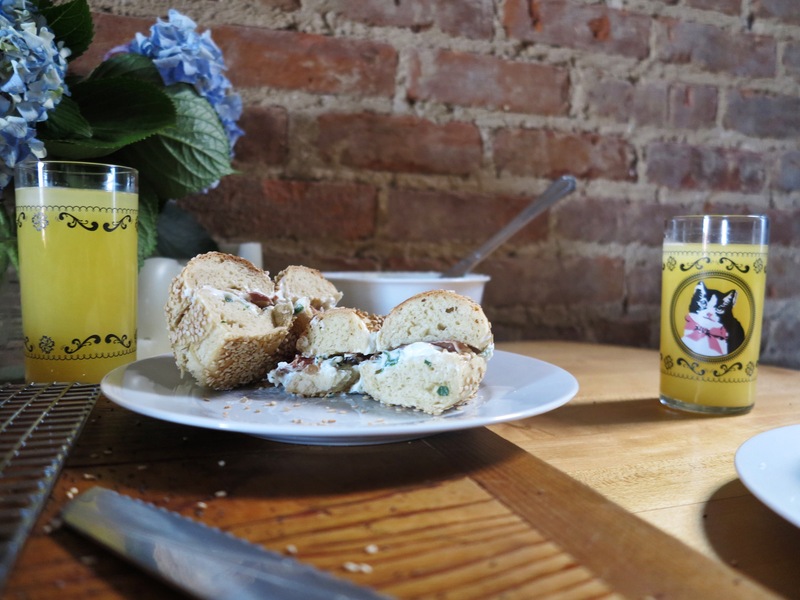 sesame bagel with scallion and parsley cream cheese, prosciutto, and a mimosa in a cat cup. naturally. Also! If you don’t have a kitchen scale, I highly encourage you to get one. 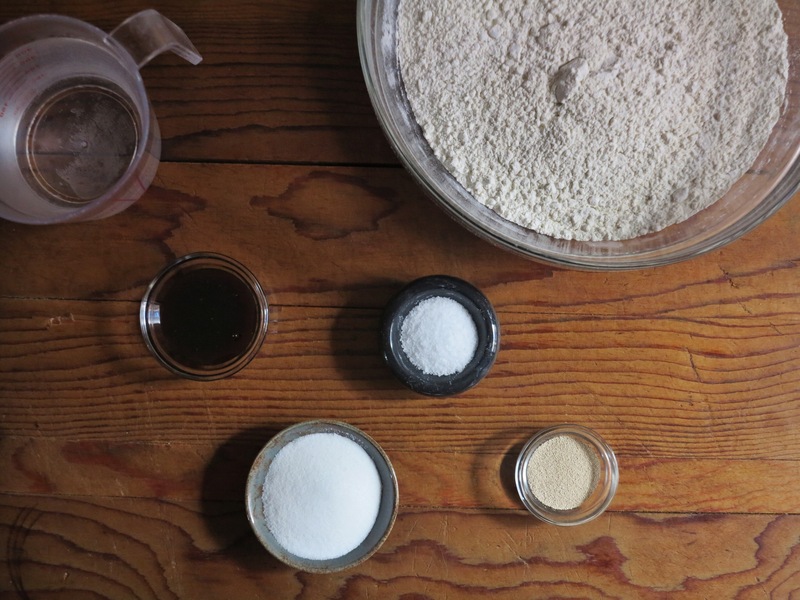 It will make you a better baker, even if you don’t use it all the time. 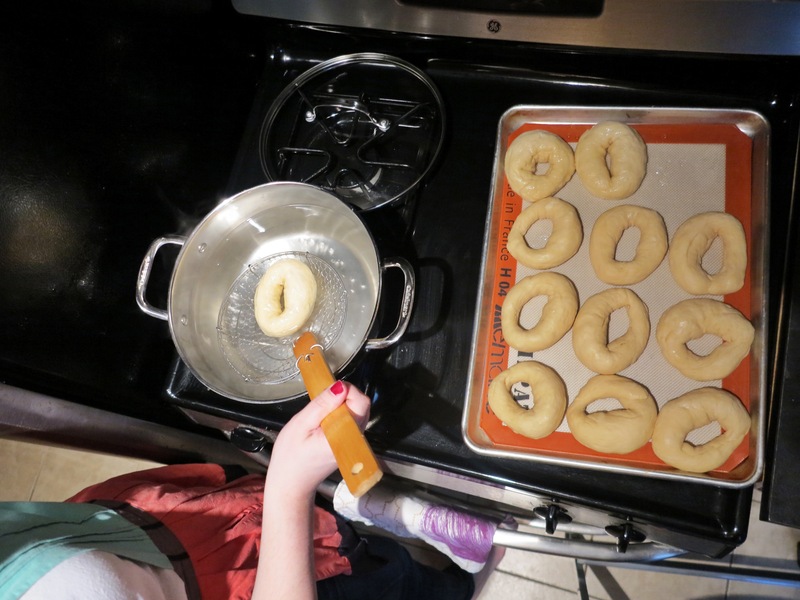 For the recipe below, I’ve included both the measurements in weight, but also in volume in case you don’t have a kitchen scale and just need to make these bagels now (which I totally understand). However, a kitchen scale will also help you portion out your dough. 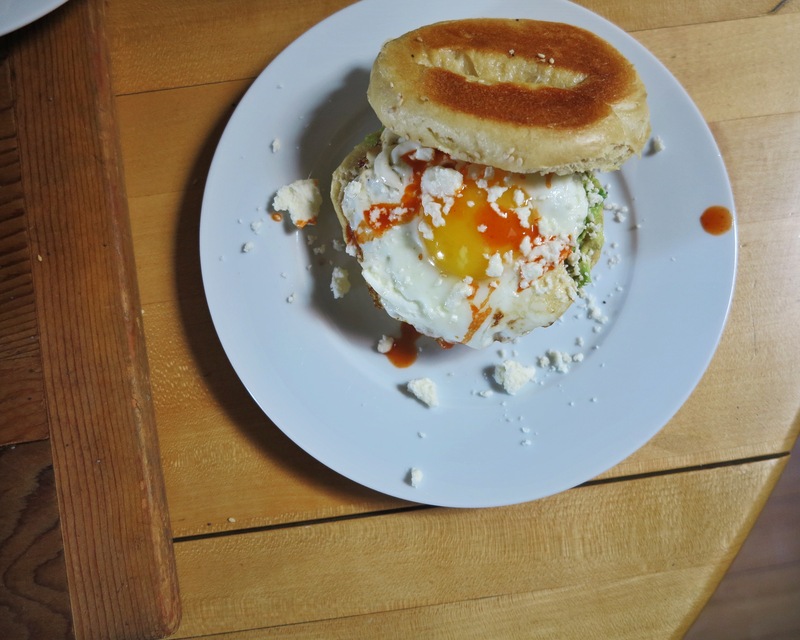 plain bagel with avocado, a runny egg, cholula, and cotija cheese. 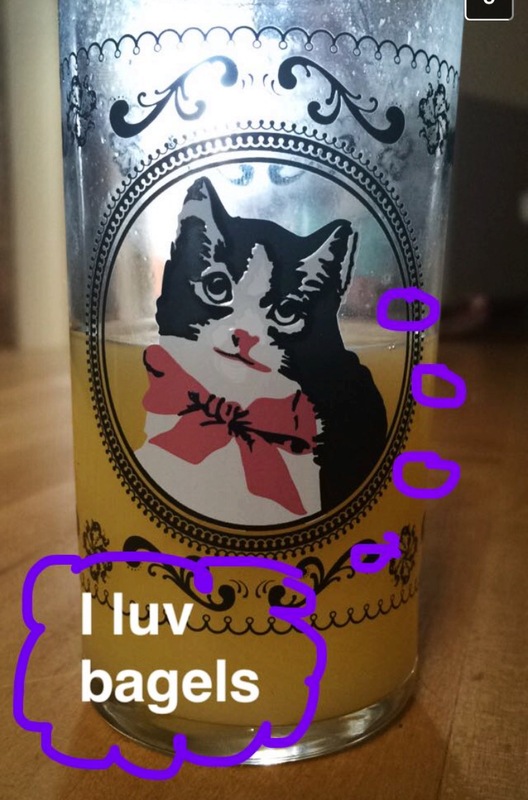 and a mimosa in a cat glass. always use a cat glass. 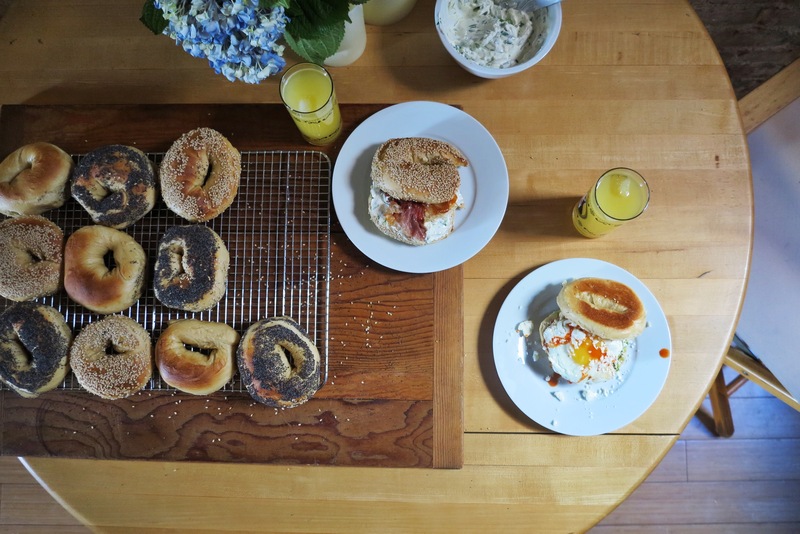 I recommend this recipe to anybody who loves bagels but doesn’t have access to a Murray’s Bagels or the like. 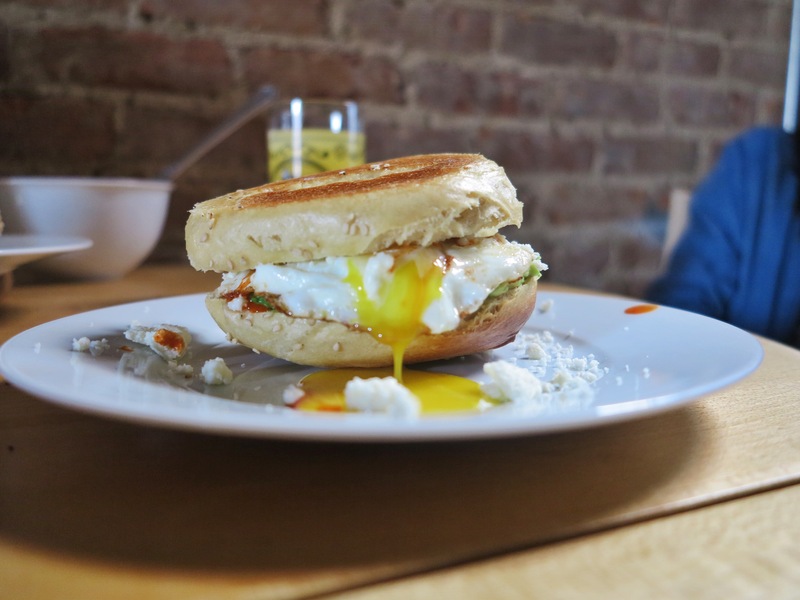 Your life will change and you’ll be able to tell people that you make flippin’ bagels!!! the PLETOHRA of baked goods I brought home from class. Some guest photography and help eating from Atlee Van Saun. A true best friend. 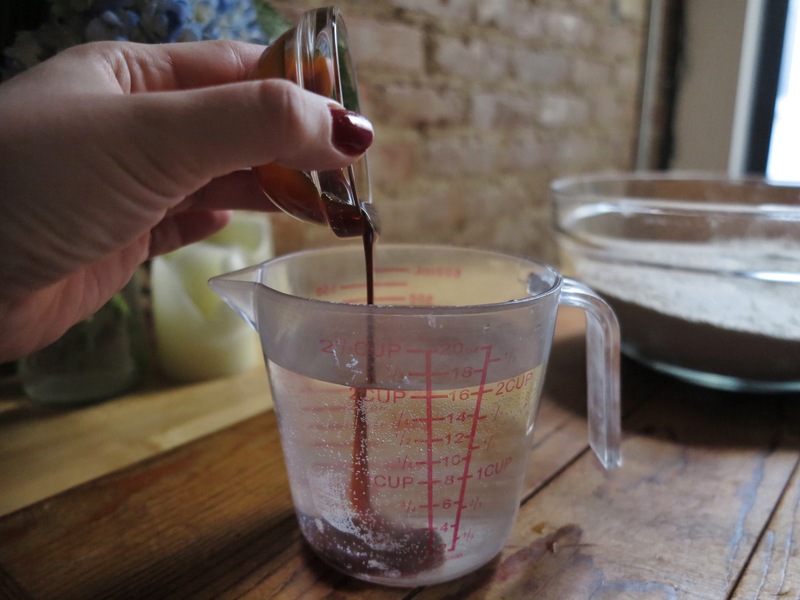 Combine the barley malt syrup with the lukewarm water in liquid measuring cup or small mixing bowl and stir together. Add the yeast, stir together once more and let it sit until bubbly at the top, about 3 minutes. In a stand mixer fitted with a dough hook (such as a KitchenAid), combine the flour, sugar, salt, and the yeast/malt mixture. Turn the mixer to the lowest speed and knead the dough until it comes together in a dry, shaggy dough. You may need to stop it every now and then to scrape down the sides of the bowl and you may need to knead by hand for a minute or two, but it should come together in about 8 minutes. 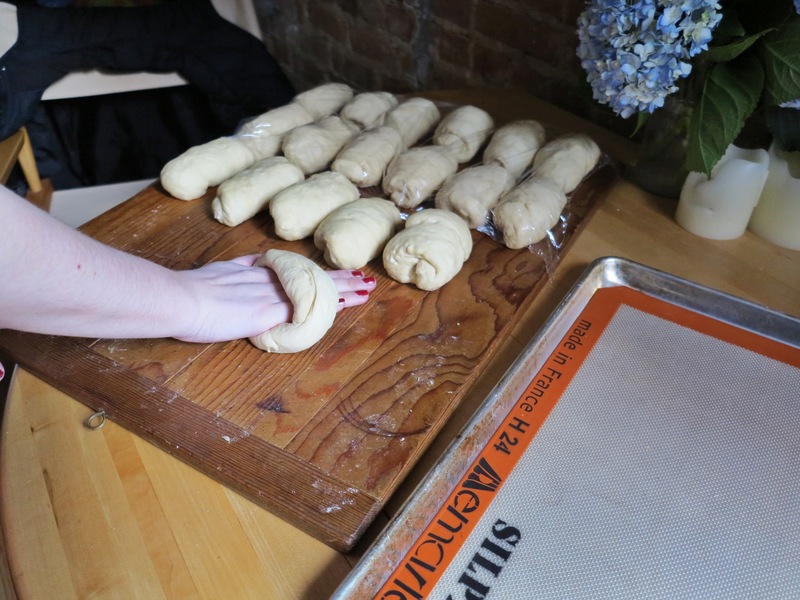 Using a bench knife, divide the dough into portion weighing 125 grams each. Set each aside until you end up with 12 portions. Cover loosely with plastic wrap. 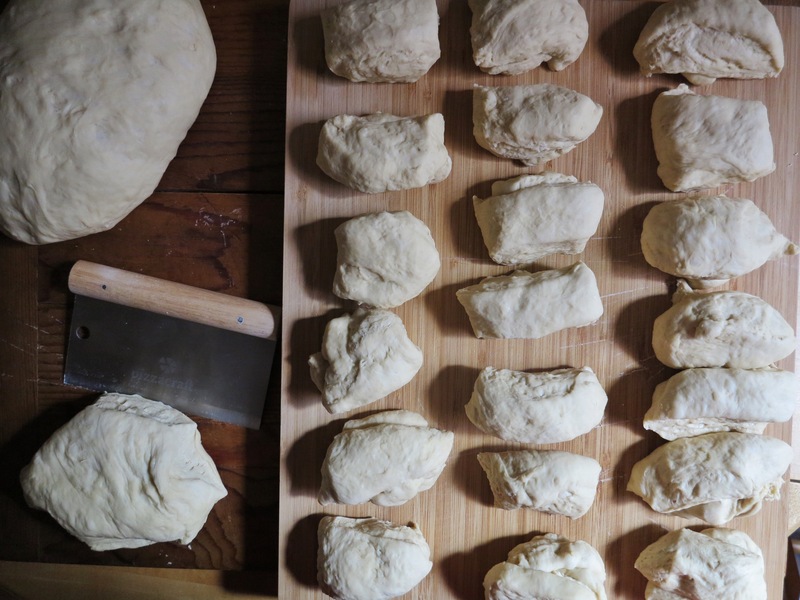 Pre-shape into logs: To form the logs, take a dough portion and set it on your workspace in front of you. Take the top third and fold it down to the center, pressing down and away from you in a slight rolling motion. Take the folded portion and repeat the movement. 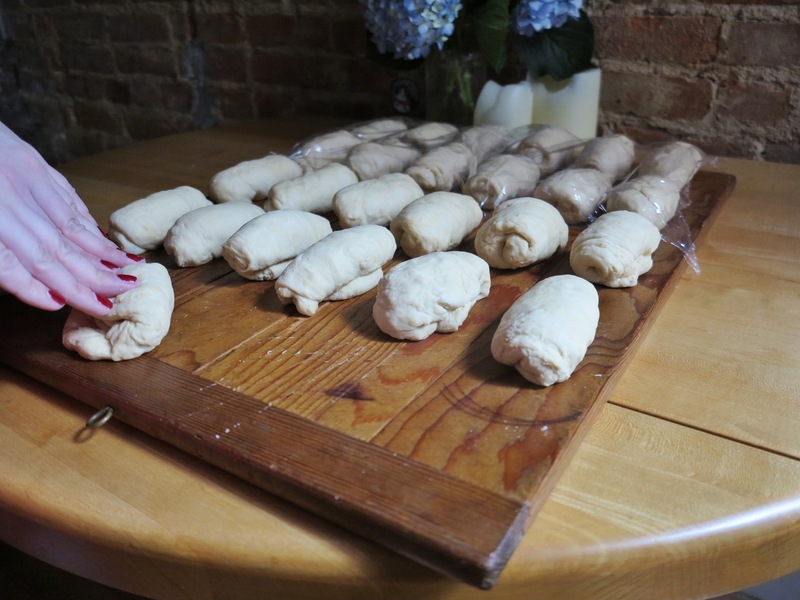 Place the dough seam side down and cover with the plastic wrap. 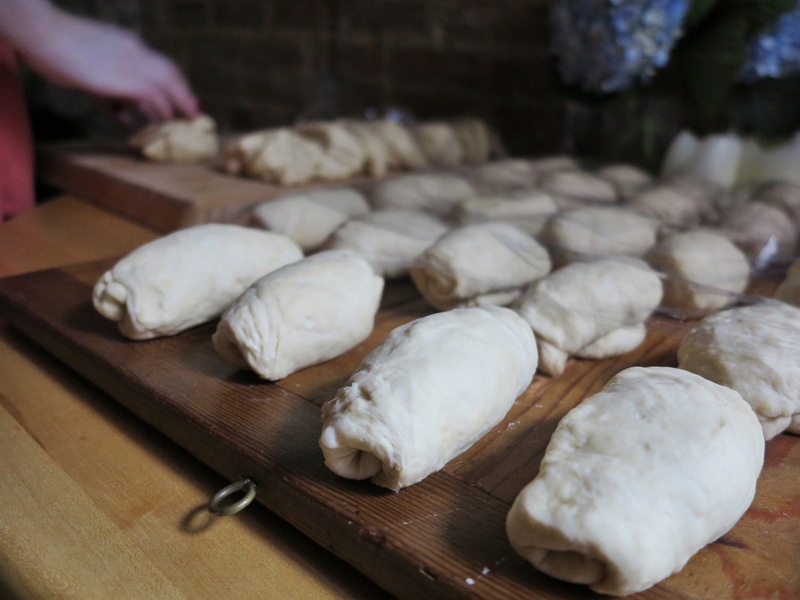 Once all the pieces of dough are shaped like logs and covered, let rest for fifteen minutes. 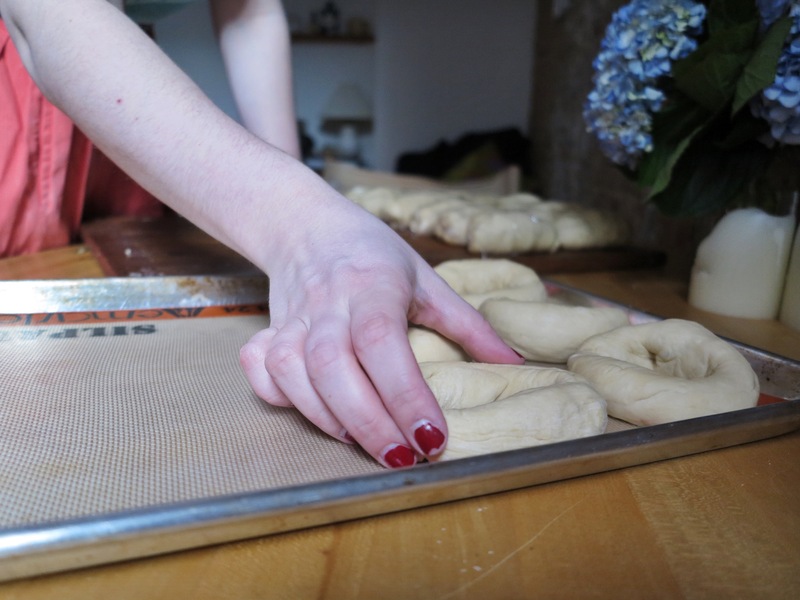 Final shape into bagels: Take a piece of dough and place it in front of you horizontally. 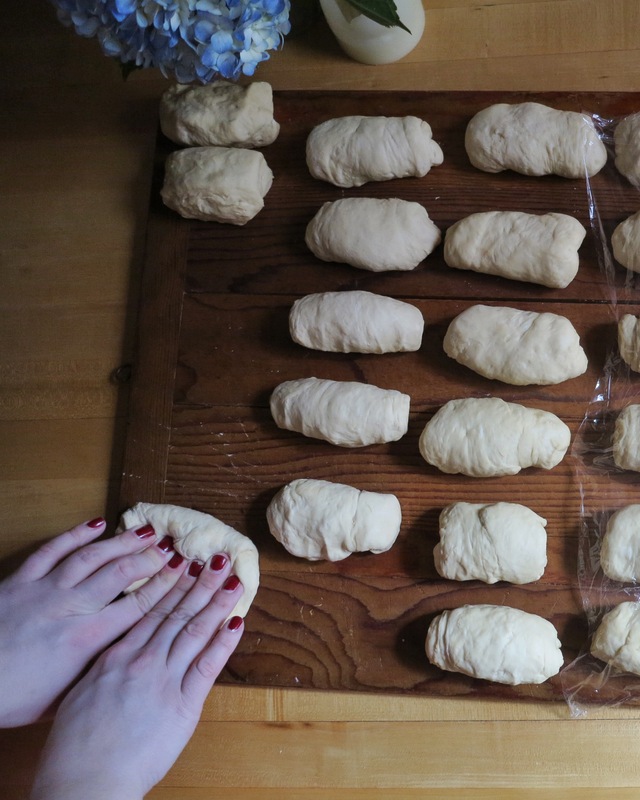 Place your fingertips (right next to each other) in the middle of the dough and roll outwards, evenly, forming a rope big enough to fit around one hand with ends overlapping. Place your dominant hand, palm side up over the middle of the rope. Place both ends (overlapping) into your palm, squeeze them together, flip over your hand and roll the ends together until they are sealed. 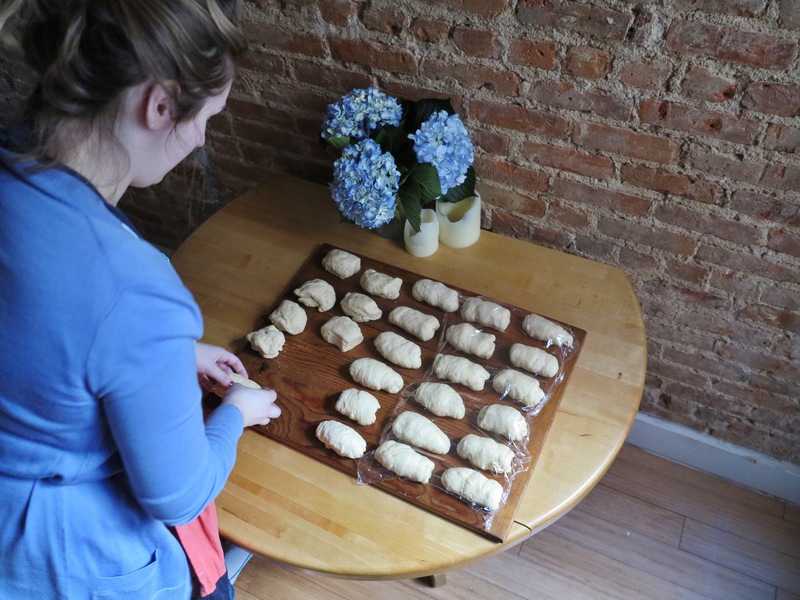 Place the shaped bagels on a parchment lined baking sheet and let rest at room temperature for 45-60 minutes. Then refrigerate the bagels for at least 60 minutes and up to 24 hours before boiling and baking. When ready to coil and bake, preheat your oven to 470 degrees and boil a pot of water. 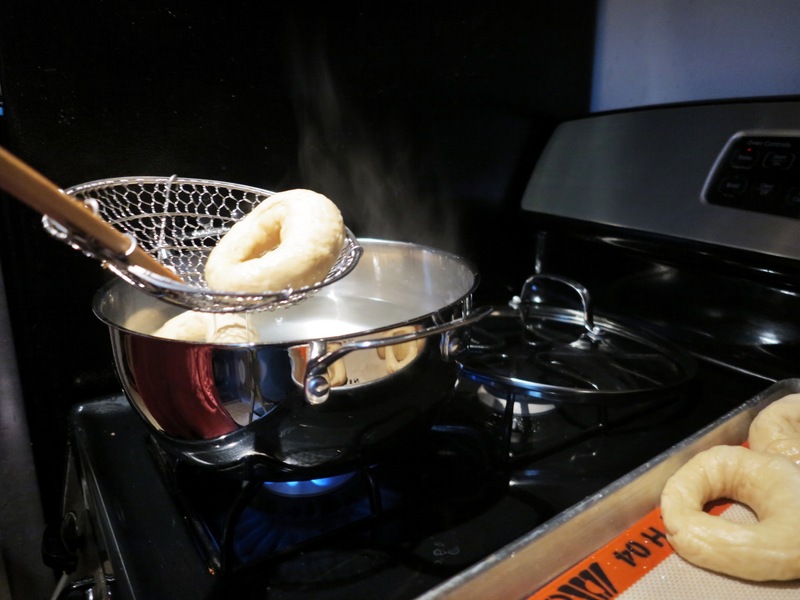 Boil the bagels about 3 at a time for about 10 seconds. No need to flip. 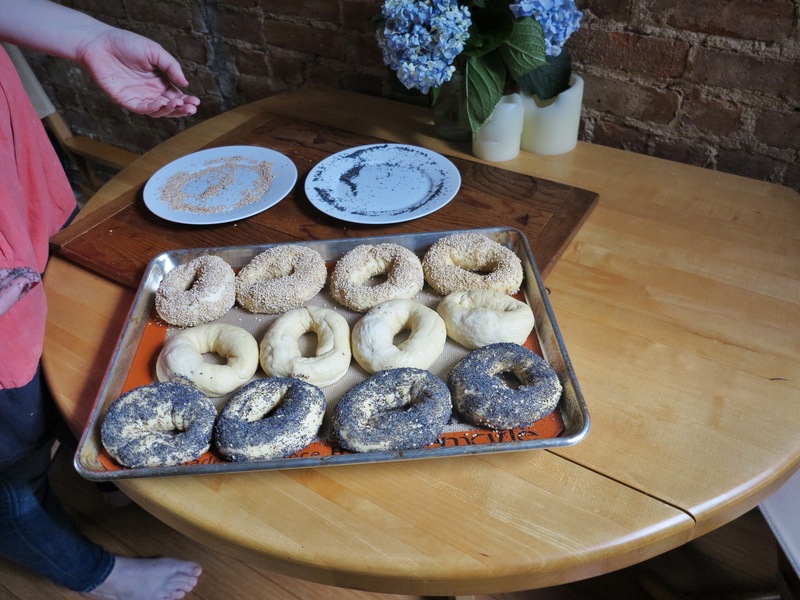 At this point, you can dredge the bagels in toppings, if you’d like. Bake for 15-20 minutes, cool on a rack, and then go crazy. 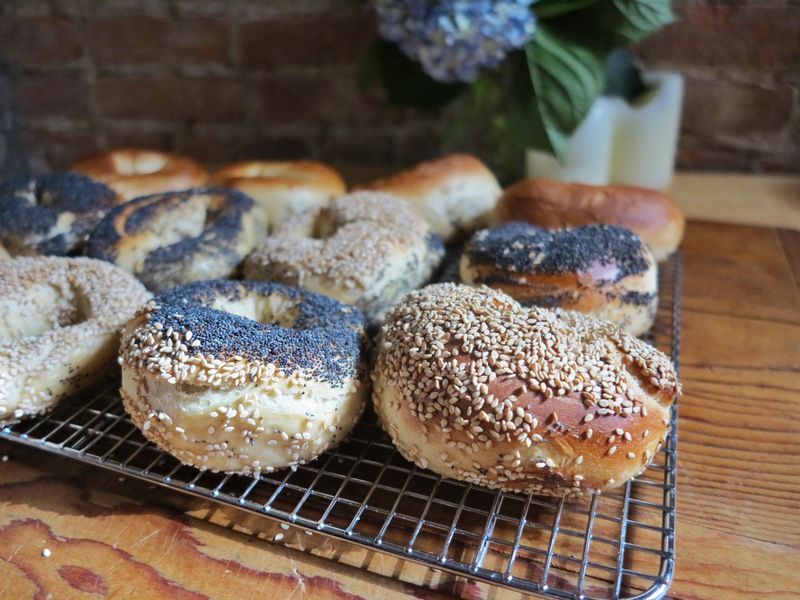 You just made bagels from scratch. *A note on handling this dough: this dough doesn’t need any extra flour. 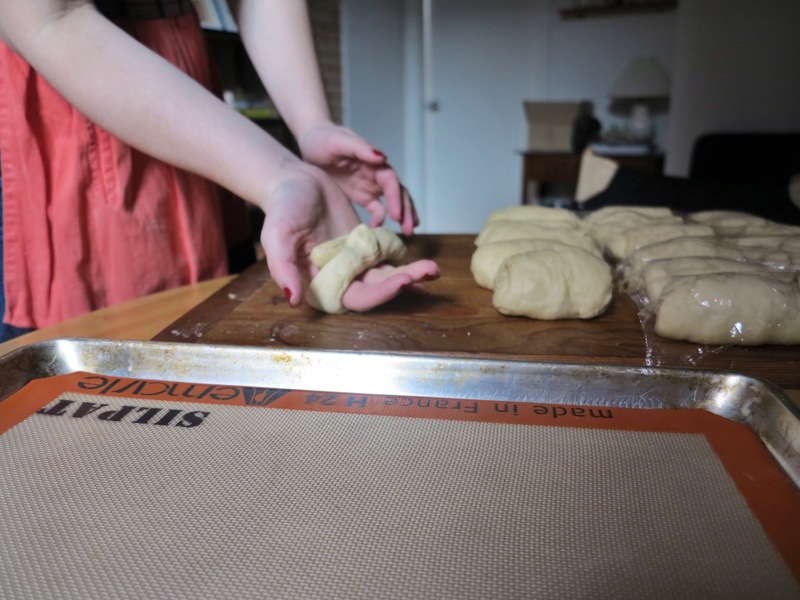 If you’re having trouble with the dough, use a damp cloth and wipe your work space every now and then. The dough may need to be a little sticky to handle.